Mascara is not something that I ever really talk about here on the blog, but I’m trying new things in 2017. I’m a lover of false lashes so most of the time I could care less about mascara, other than to darken my lashes so they match my falsies but I’ve been trying to wear more “everyday makeup” to work this year. 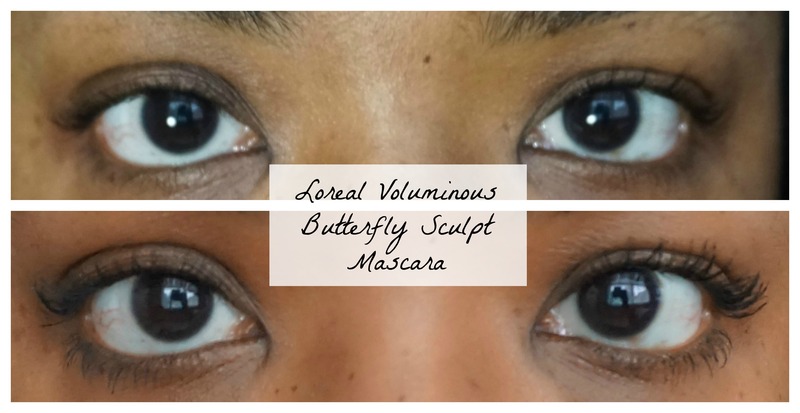 I picked up Loreal’s Voluminous Butterfly Sculpt mascara at my local Ulta recently and I’ve been using it daily as a part of my “work makeup” routine. I love the OG Voluminous so I figured I’d try one if it’s upgrades. 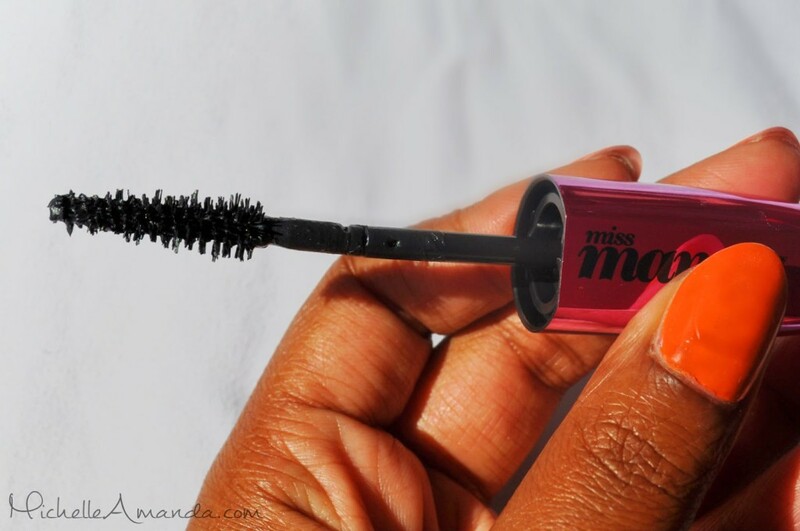 I really love the brush on this mascara, it actually reminds me more of a tapered comb. It’s plastic with two sets of “teeth” and space in the middle that really holds the mascara. The shape really makes application to the lower lashes super easy and it really separates my upper lashes that like to clump together. This mascara really gives my lashes the length and separation that I like for everyday looks and the waterproof formula doesn’t smear or flake throughout the day! This wand is really the major key! What’s your favorite mascara of the moment? Was anyone else obsessed with drawing Manga cartoons as a kid? All of my notebooks were filled with doodles of girls with tiny bodies and giant eyes and lashes! L’Oréal Paris introduces new Voluminous Miss Manga mascara featuring the 360 flexor brush to build bold volume with high intensity from top to bottom. For the first time, L’Oréal Paris creates a flexible brush with a unique conical shape to catch those hard to reach lashes with an incredibly even application. The Mega Impact Formula instantly builds oversized volume for 15X lash volume in a flash. Top lashes are amplified and bottom lashes maximized for the ultimate wide-eyed Manga Look. 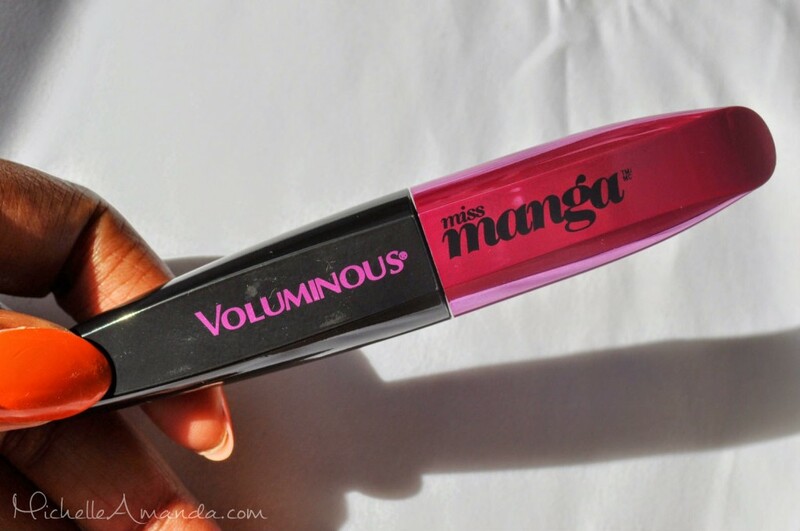 Miss Manga mascara definitely adds some volume and curl to my lashes. 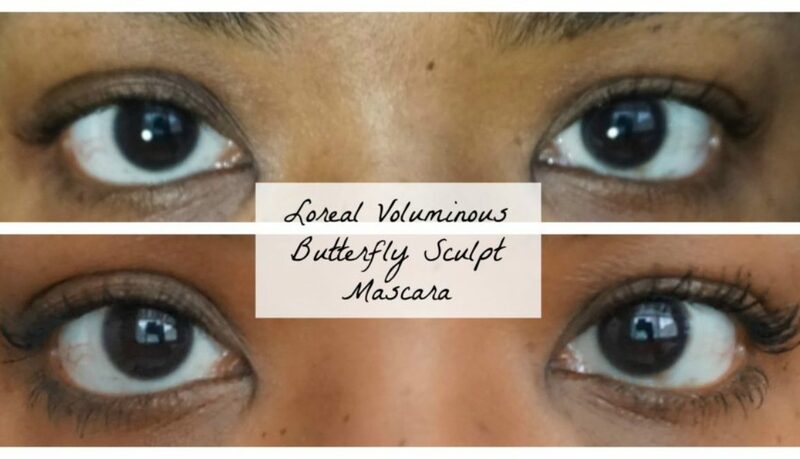 I wouldn’t say it delivers the “15X lash volume” that L’Oreal states but they definitely appear thicker. 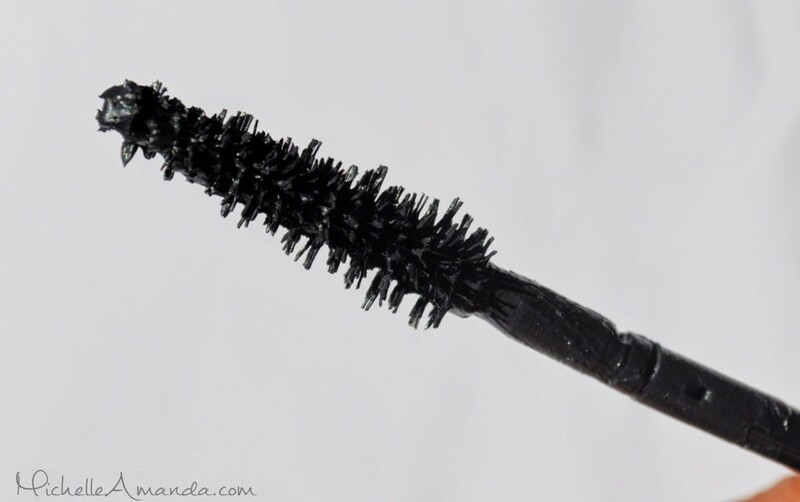 This mascara also has the tendency to give you that spidery looking effect and will create clumps if you’re not careful. I did not experience any flaking or crunchy lashes with this formula. I do enjoy the shape of the brush as the conical tip helps to grab my smaller inner lashes and bottom lashes. The wand is flexible but not so flexible that it makes the mascara difficult to apply like I’ve experienced with some other brands flexible wands. 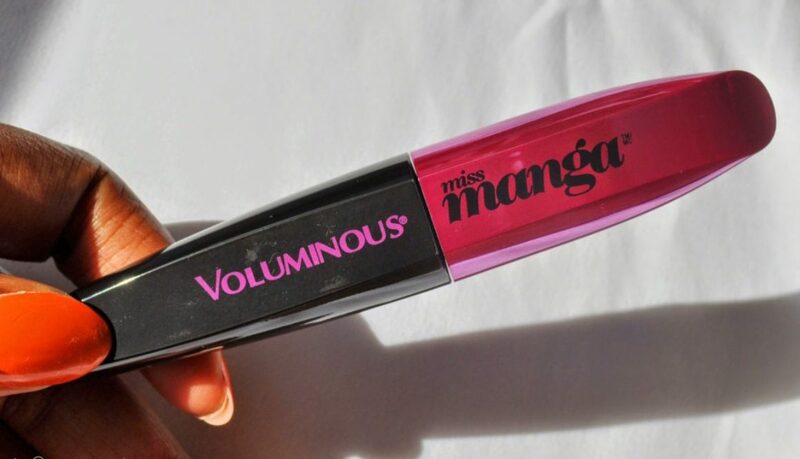 The original Voluminous formula is one of my all time favorites. While I like this new addition to the family and didn’t have any major negative issues with Miss Manga I don’t think it will knock any of my holy grails out of their place any time soon. Available at drugstores and Ulta. 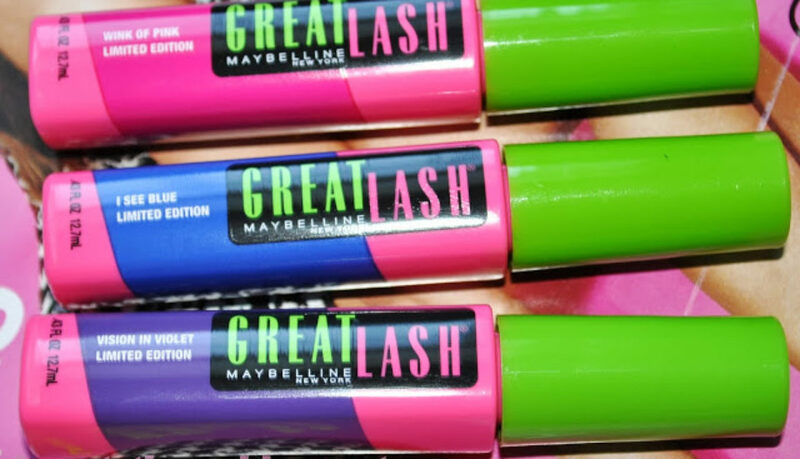 Maybelline has brought them back again, yup, the Great Lash Colors are back again this fall with six limited edition shades. As I said in my previous Rimmel post I’ve never tried colored mascaras until recently but I decided to give these a try because they’re a classic formula and I’ve heard pretty good reviews. As you can see Wink of Pink and I See Blue had great pigmentation and really popped on my lashes, I think these may become regulars on my lower lash line for a fun pop of color. I’m so disappointed in Vision in Violet because I LOVE purple and I really wanted this to pop, but if you’re looking for something more subtle this may be the way for you to go. The formula on these was drier than the Rimmel Extra Pop Lash which made it pretty easy and mess free to work with. I did a little shopping last week from CVS and Walmart. CVS sent me a 20% coupon so of course I had to get some beauty goodies. I love me some drugstores! 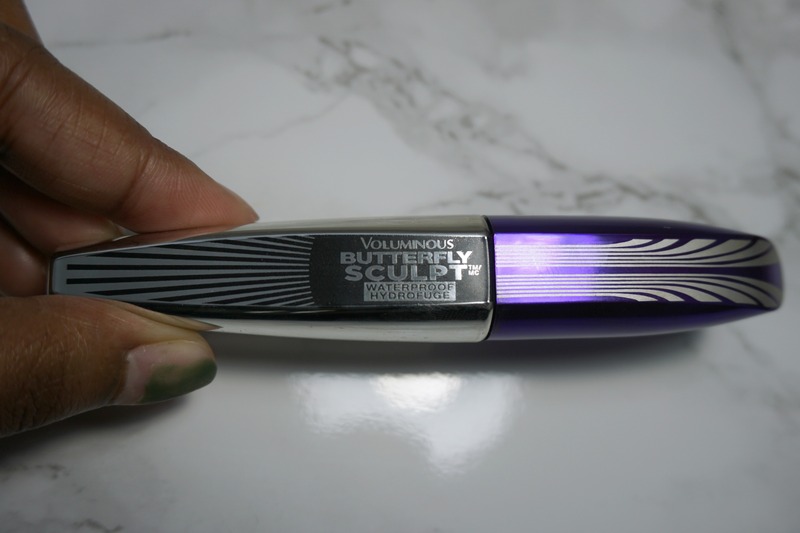 This is most definitely my HOLY GRAIL drugstore mascara. It gives me that “fake doll lash” look. LOOVEE! Another HOLY GRAIL staple. I live by these adorable lil balms, I’m pretty sure I have like every color/flavor available. Smooth lips without the greasiness! I’ve been using this like everyday since I bought these. IMO I love these lip stains more than the other Revlon lip stains (w/ the felt tip) it’s so much more moisturizing and the stain lasts almost all day. I think I’m going to by a few more before I do a full review. I’ve heard this a dupe for MACs “Up the Amp” LS but I don’t own it so I honestly can’t say. This nail polish promises an “everything in one bottle” type polish. I tried it without any base or top coat and it lasted for about five days but it was not shiny enough for me. I’m a Seche Vite addict so I’ll def be topping it with that next go around! 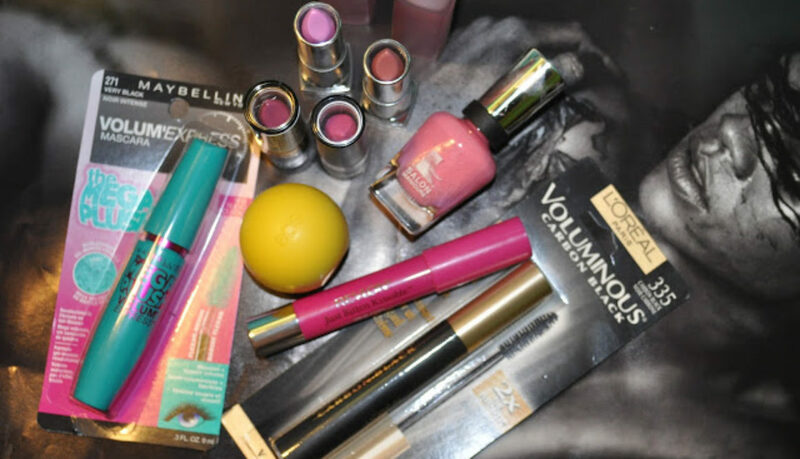 Have you found awesome drugstore goodies lately?!?! Share below!